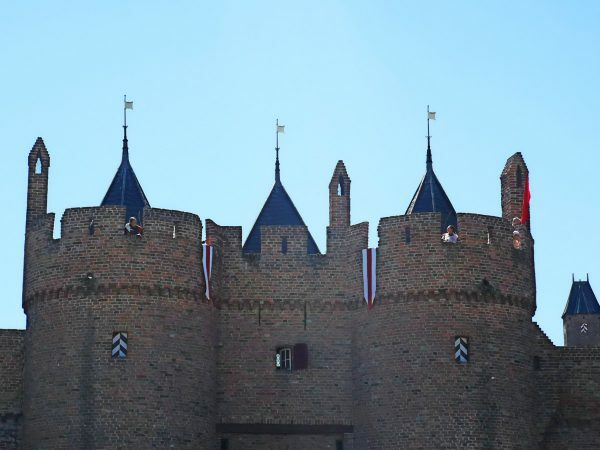 The Netherlands isn’t particularly known for epic castles in the way that Germany is. 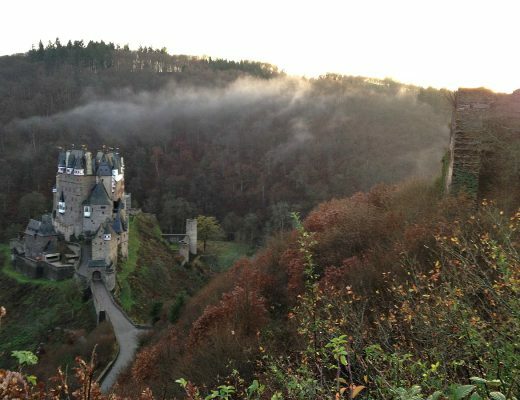 But there is actually a surprising amount of castles to be found in this little country. Since I’ve been living here I have made a list of all the castles I want to visit and this summer I am slowly ticking off most (if not all!) 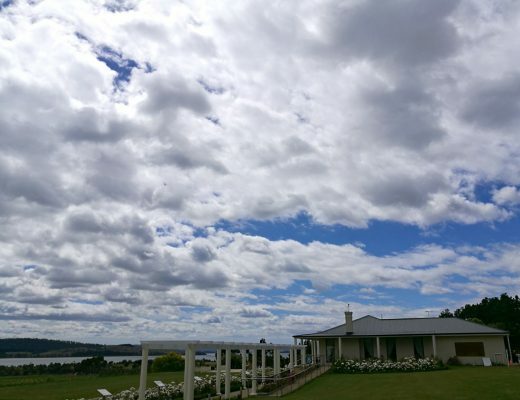 of these castles from my list. 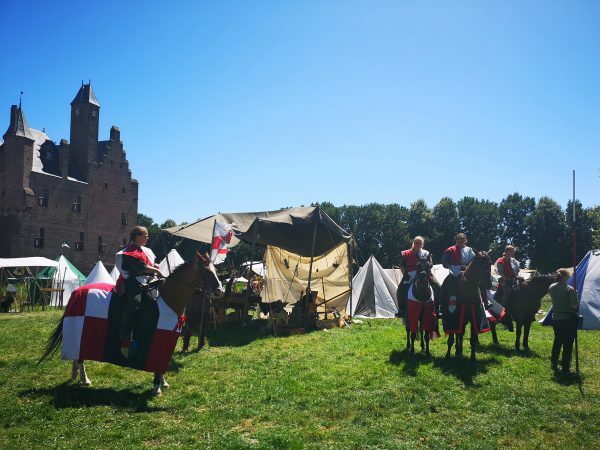 The first one we visited was Doornenburg Castle in Gelderland where we got to also experience a medieval festival-type event with knights on horseback and a re-enactment of vikings attempting to storm the castle! 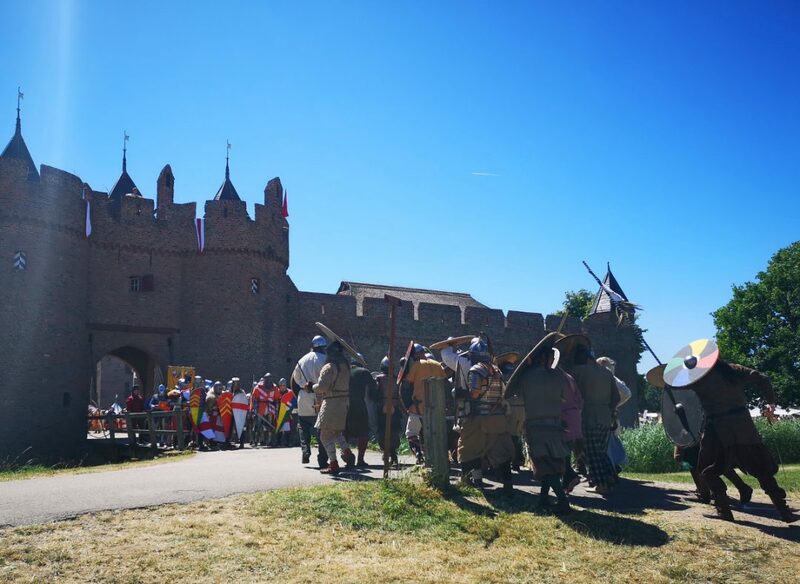 Read on to find out more about this awesome Dutch castle and event. 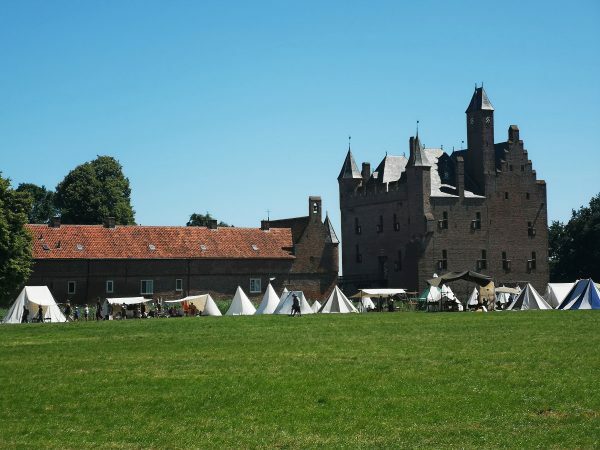 As I mentioned, Doornenburg Castle is located in the province of Gelderland, in the village of Doornenburg. 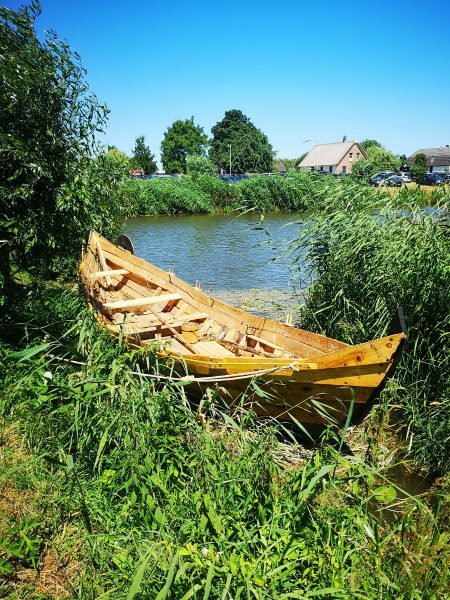 I’ve previously written about some travel in this province (you might recognise the name from the Heath Ledger movies “A Knight’s Tale”) and you can read more about things to see in Gelderland in that post. 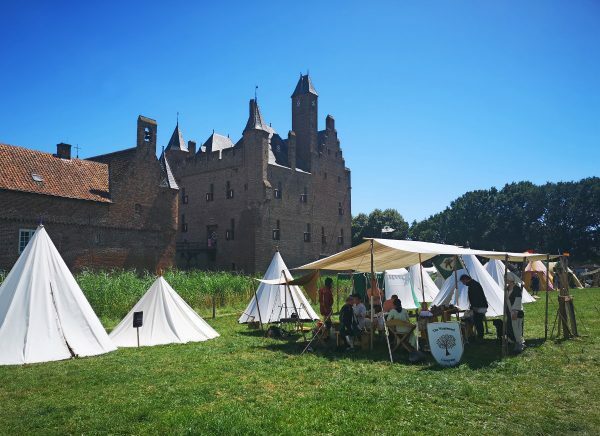 Doornenburg is one of the biggest and most well-preserved castles in the Netherlands, although it was almost completely destroyed during the second world war. Originally built in the 13th century it was at first only a fortified manor but it was later converted into a proper castle. After it’s partial destruction during WWII it was rebuilt between the 40s and 60s. 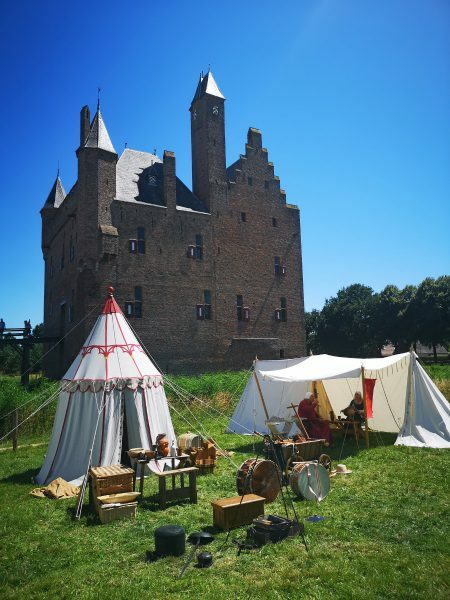 You can visit the castle and have a tour of the interior for €9.75, although the tours are only given in Dutch. 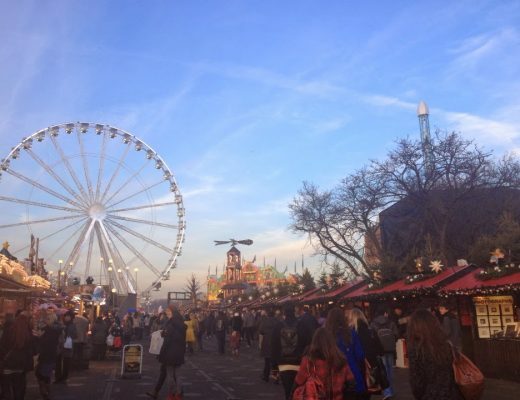 There are also events that occur regularly such as the one we went to as well as live music performances, Halloween events, Christmas events and even Harry Potter themed events! 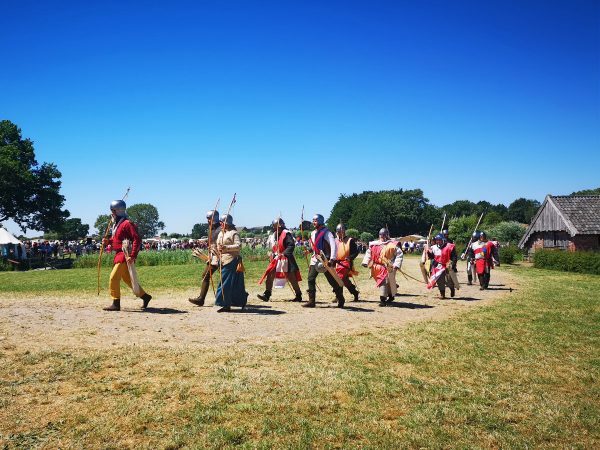 The agenda page on the website has information about all the upcoming events if you want to time your visit with something extra fun. 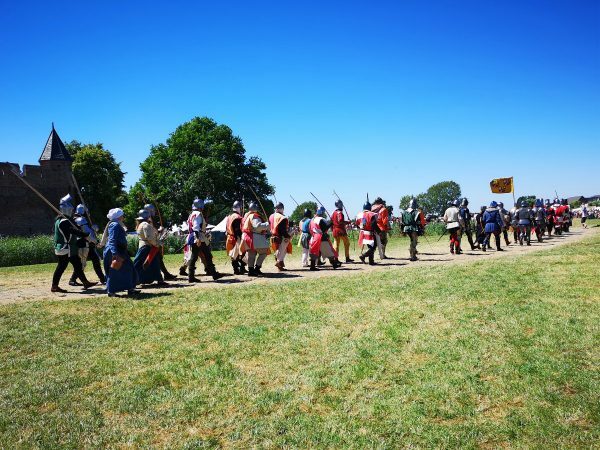 We visited during the weekend-long event of ‘The Battle for Doornenburg’. 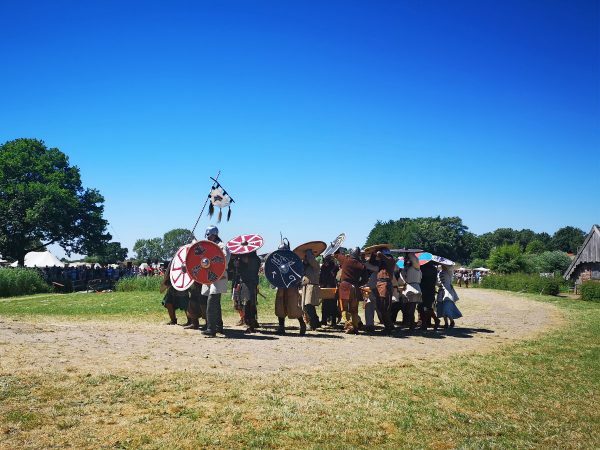 The event included a medieval market, food and drink stalls, archery lessons and medieval games for children as well as demonstrations of sword-fighting, jousting and even a mock battle between the castle defenders and ‘vikings’. 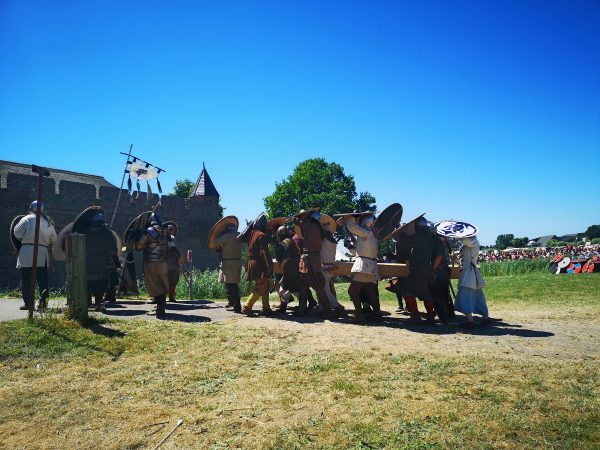 It was a lot of fun although not particularly historically accurate! Still, it was definitely cool to see the ways soldiers both attacked and defended a castle and of course, the costumes were very cool. There were lots of children taking part and I’m sure they were having the time of their lives! These castle defenders walking to the demonstration field and back to the castle reminded me so much of the Disney version of Robin Hood! 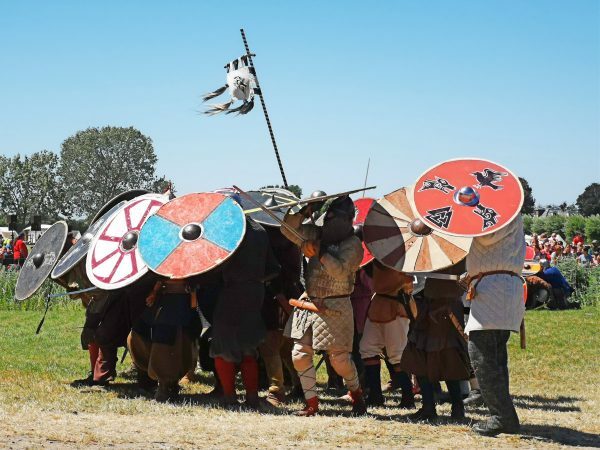 We watched the vikings fight the castle defenders and attempt to storm the castle with a battering ram. Eventually they were fought off by the archers and then some knights on horseback led the charge to drive them away for good. It was good fun to watch! The archers on the battlements were quite impressive (the arrows had blunt ends so they wouldn’t do too much damage) and they fired their arrows quite a long way. 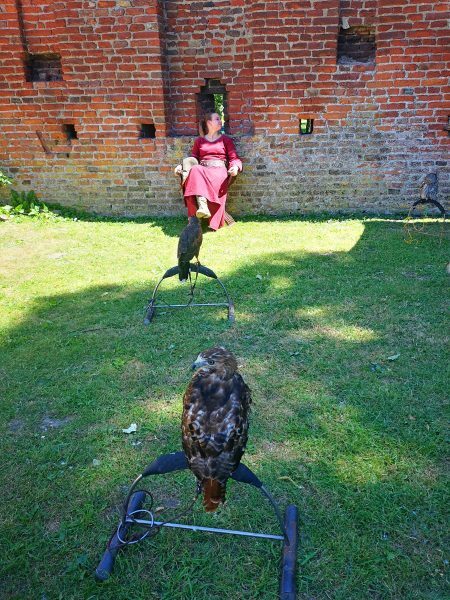 I kept waiting for them to start spouting Monty Python when they were just hanging out in the battlements, but sadly they never did. 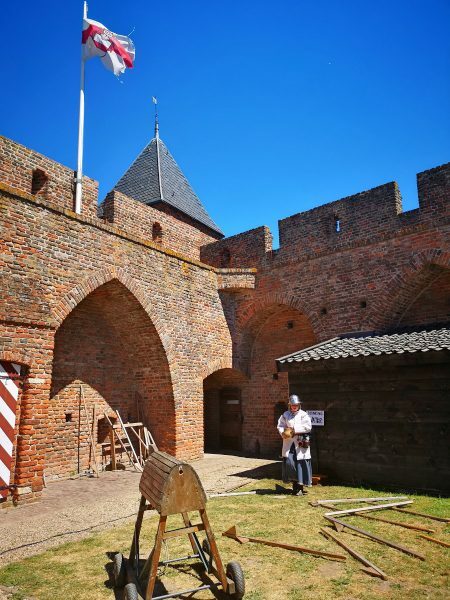 It was a beautiful summer day so we enjoyed walking around the inner courtyard of the castle to see the stalls and then later the field beside the castle. 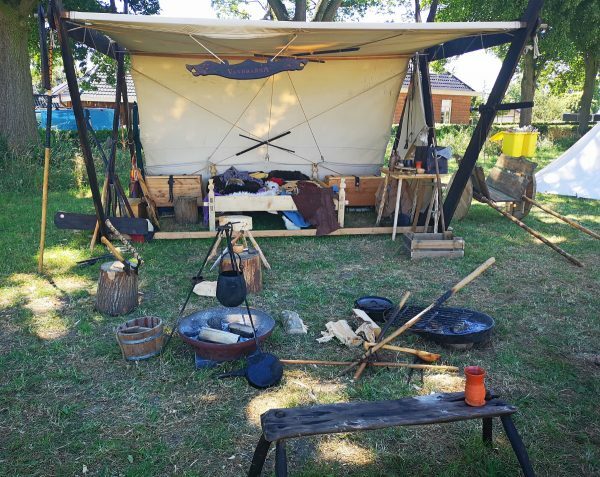 Out here were games for children as well as tents set up to look authentically medieval, with people in costume cooking meat over the fire or relaxing. 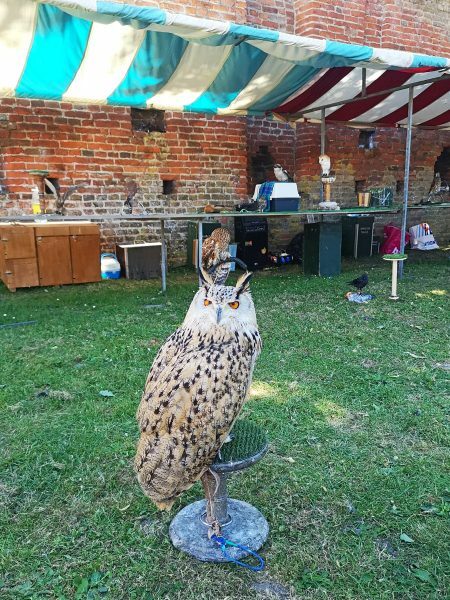 There were also a variety of birds of prey on display and you could have your photo taken with them for a price. I didn’t do this because I felt bad for the birds, all tied to perches and obviously hot. I know it was normal to use birds for hunting in medieval times but that’s not what was happening here. Also, they had kookaburras which kind of annoyed me. Those certainly weren’t used in medieval Europe and I’d be interested to know how one even gets a kookaburra over here. Some of the stalls were selling jewellery and flowing dresses but a lot had wooden swords and shields for the children. 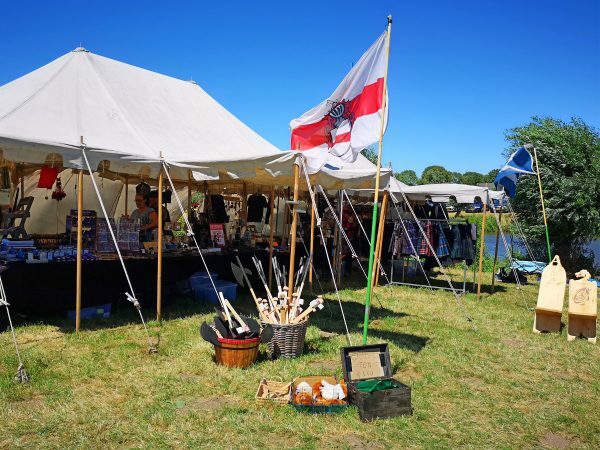 You could even have a ‘ye olde massage’ at one of the tents! 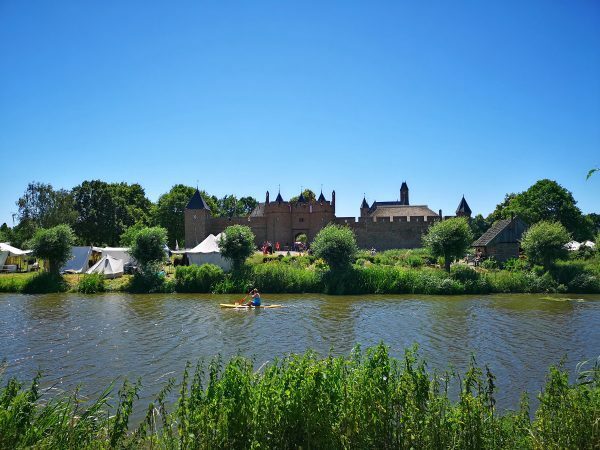 Want to explore another Dutch castle that looks like it’s straight out of a fairy-tale? 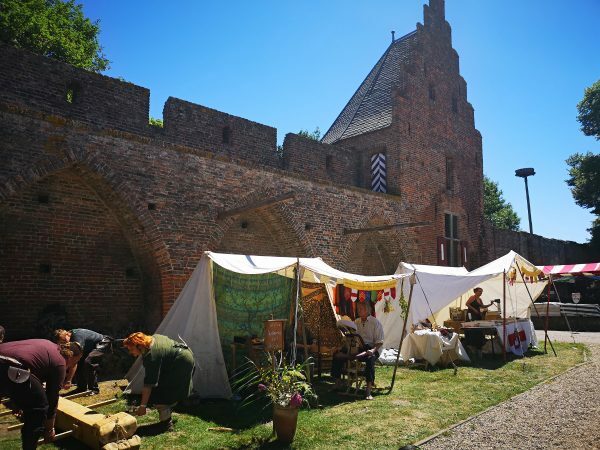 Check out this post about the lovely Duurstede Castle too! 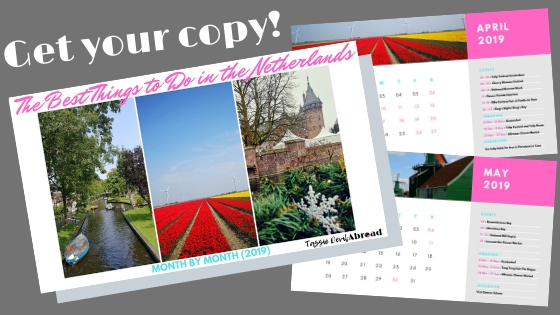 Want to know when all the best Dutch events are on? 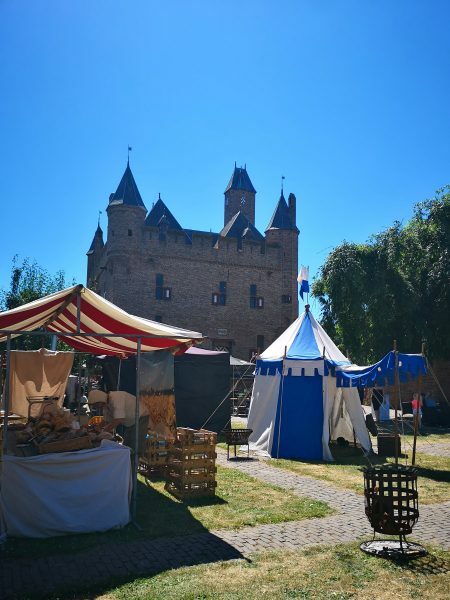 Hands up if you are planning to go to Doornenburg Castle for the next themed event?! 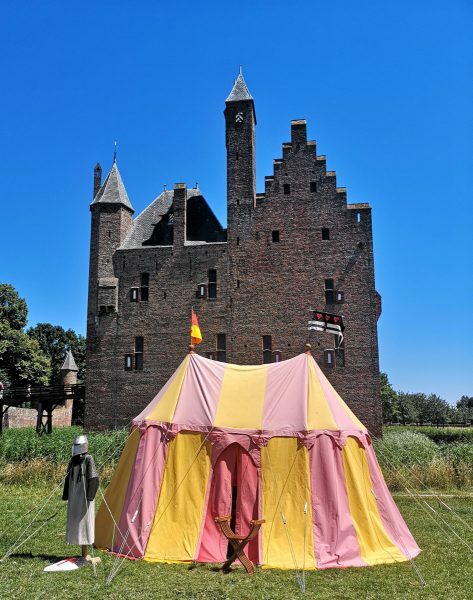 Pin one of these for your planning and let me know in the comments what event you’d most like to experience at a Dutch castle. For more posts about castles you can also check out the Castle Capers section! That castle and the fair must’ve been a really fun experience! 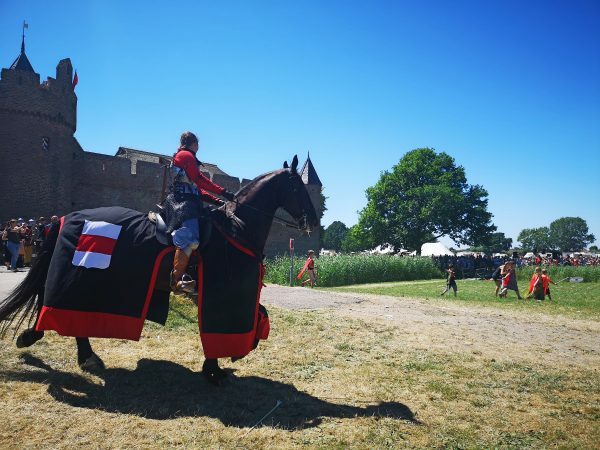 But, as I am a horse-lover, the picture with the gorgeous horse and a “knight” on him caught my attention even more, hehe. 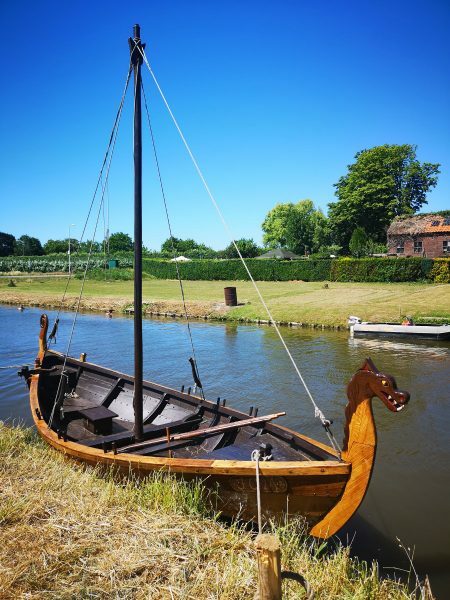 I wonder if they were Gelderlanders, a horse breed from the area? !